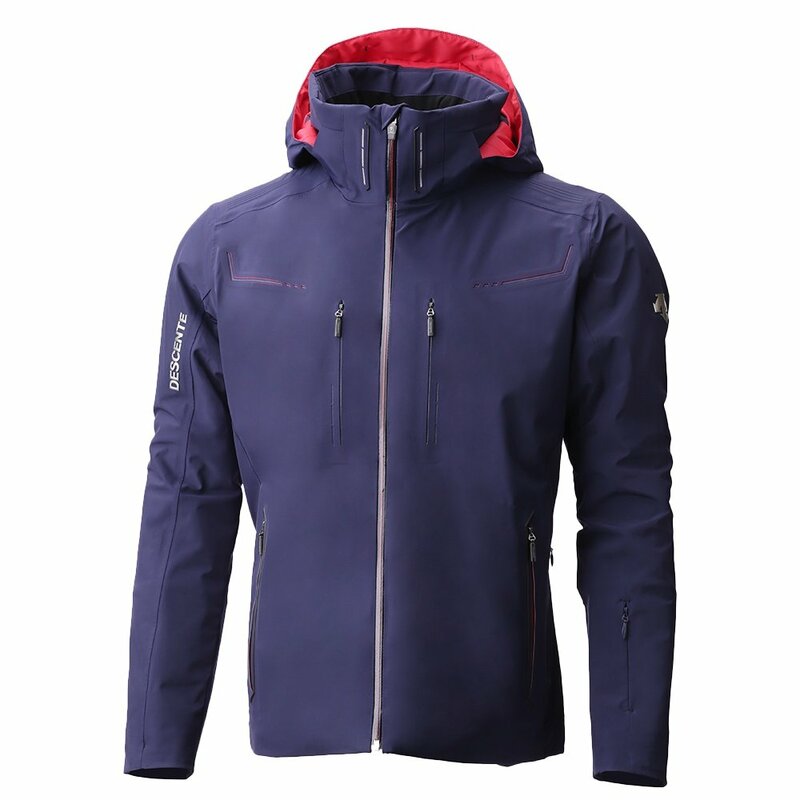 Descente puts all its best technologies into the Descente Valen Insulated Ski Jacket for a perfect addition to your winter gear. In addition to standard features like four-way-stretch and Thinsulate™ insulation, the Descente Valen Ski Jacket includes advanced features like the raised fabric Streamline™ channels, which route water away from vulnerable pocket areas. The high-tech, fully seam-sealed Dermizax® fabric adds enhanced 30K breathability to its full-stop 20K waterproofing. Descente's Inner Surface Ventilation system helps out in quickly funneling heat and body moisture out while Breath Ventilation around the collar keeps airflow free while cutting moisture build-up. Other features include a pass holder, smart wrist adjuster, and spine guard.